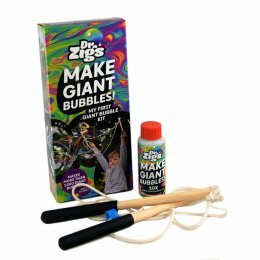 The simple joy of making bubbles has been blown up in proportion by the bubble experts over at Dr Zigs. 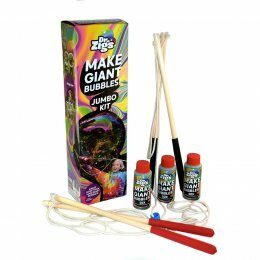 They specialised in creating wands and tri-string bubble blowing kits to turn tiny bubbles into gargantuan ones – fun for the whole family. Dr Zigs was founded by a mother who noticed for much fun her youngest son was having blowing bubbles. From this came a company that makes kits that are fun and easy to use for everyone. Dr Zigs even hold 2 Guinness World Records for the most people blowing bubbles at the same time! They share the joy of bubble blowing with those living in war-torn parts of the world and victims of environmental tragedies through their own charity, Bubbles Not Bombs. Dr Zigs also provide their support for other charities such as ‘Peace One Day’ and ‘Campaign Against The Arms Trade’.